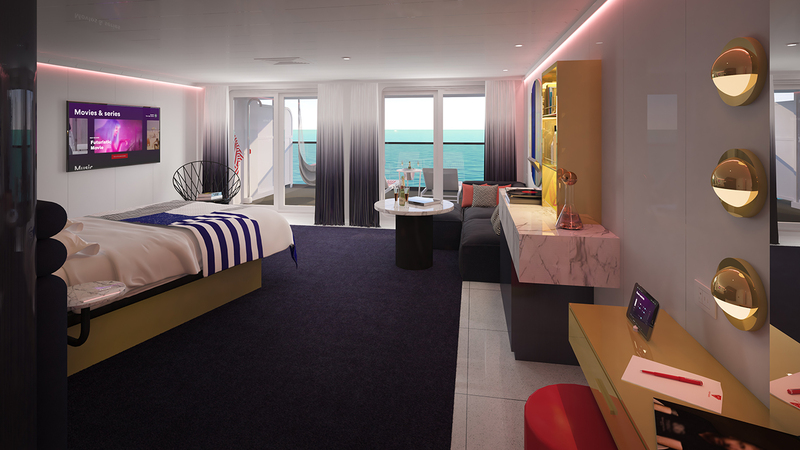 Virgin Voyages has revealed the first design details for its ‘Rockstar’ suites – and they look incredible. 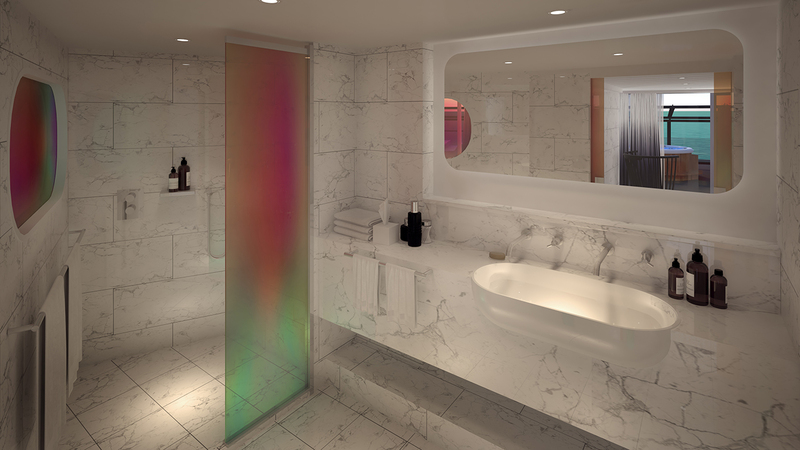 Designed by Tom Dixon’s Design Research Studio the suites aim to bring a rebellious edge to life at sea. 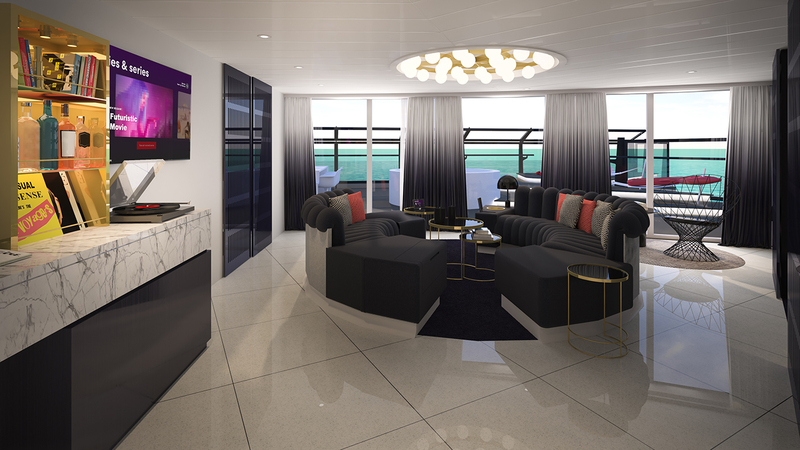 There’s 78 suites across the ship split into different categories: Massive Suites, Mega RockStar Suites, Fab Suites, Posh Suites and Gorgeous Suites. 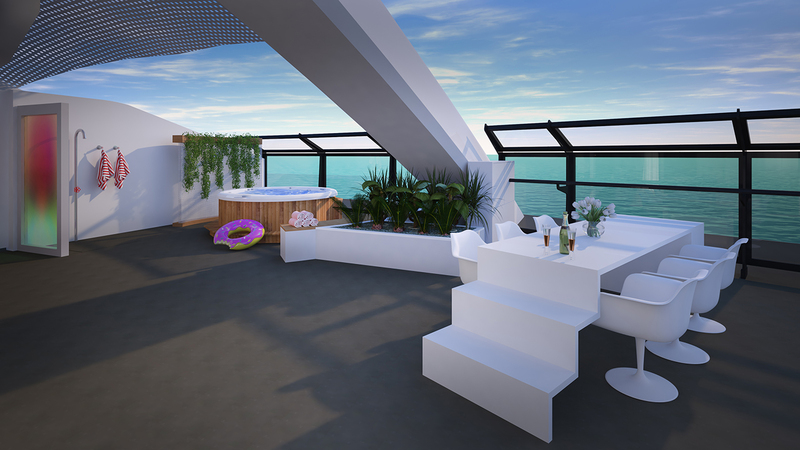 All suites are situated at the top of Scarlet Lady meaning RockStar suites guests will have the best view that money can buy, with all suites configured to maximise the view of the ocean. 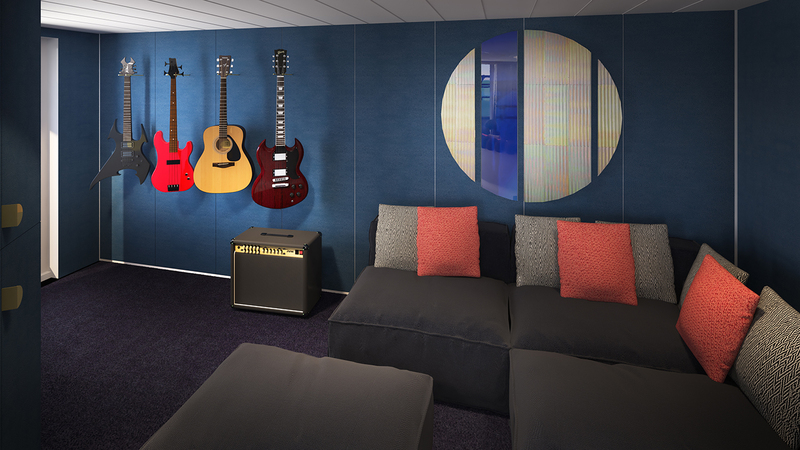 Highlights of the Massive Suite – the 2,147 square foot top suite aboard the Scarlet Lady – include its very own guitar-clad music room, views of the ocean from every corner of the suite, and a massive terrace complete with its own ‘Peek-a-View’ outdoor shower, hot tub, hammocks and a runway outdoor dining table. Most of the above is included across all suite classes and – because this is Virgin – each suite is equipped with a vinyl turntable. And, to add to the rockstar experience, all guests will be taken care of by the RockStar Services Crew, from time of booking, to sail away and throughout their voyage. The RockStar Services Crew will tend to their guest’s ‘rider list’, digging up whatever their heart may desire to make their voyage perfect – whether that’s all red gummy bears, an electric guitar or beyond. 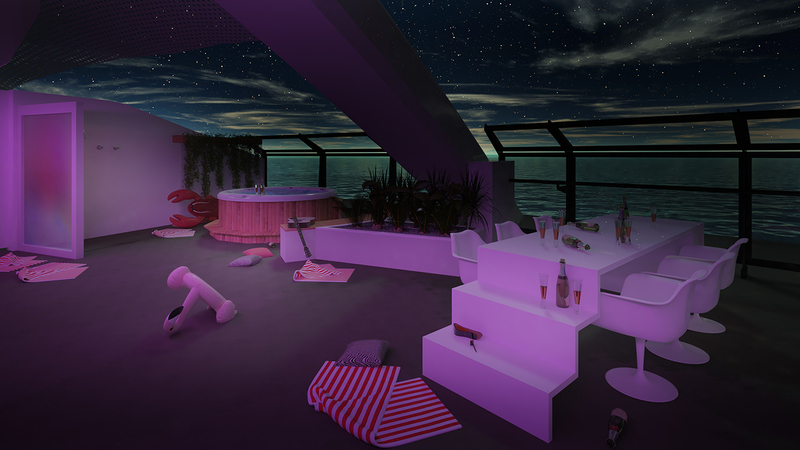 Plus, all RockStar suites guests will have access to Richard’s Rooftop, their very own private members club – where they can bask under the sun or have a drink under the stars. “Virgin has always avoided stuffy formalities and brought a lot of excitement and a bit of rebelliousness to our customer experiences,” said Sir Richard Branson, founder of the Virgin Group.